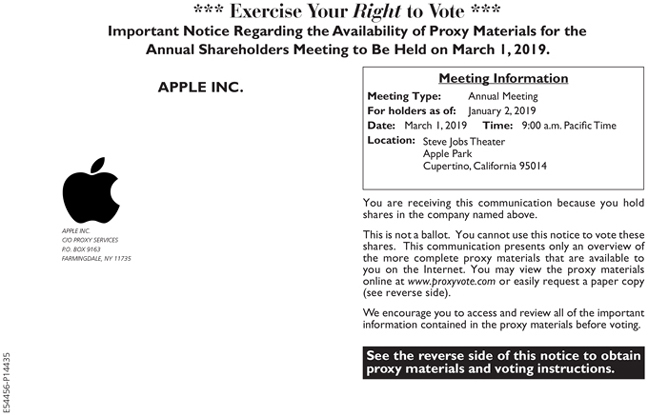 Before You Vote How to Access the Proxy Materials Proxy Materials Available to VIEW or RECEIVE: NOTICE AND PROXY STATEMENT FORM 10-K How to View Online: Have the information that is printed in the box marked by the arrow XXXX XXXX XXXX XXXX (located on the following page) and visit: www.proxyvote.com. How to Request and Receive a PAPER or E-MAIL Copy: If you want to receive a paper or e-mail copy of these documents, you must request one. There is NO charge for requesting a copy. 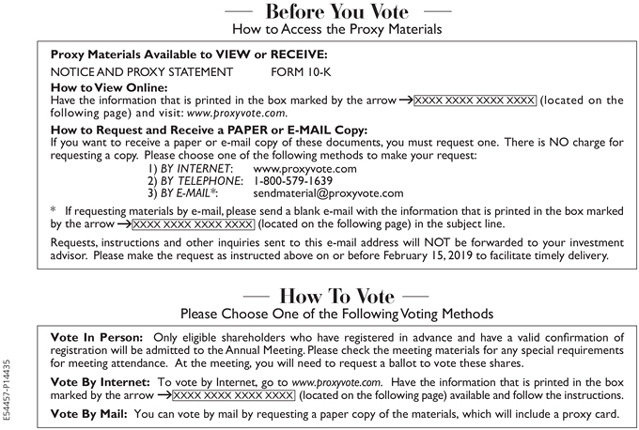 Please choose one of the following methods to make your request: 1) BY INTERNET: www.proxyvote.com 2) BY TELEPHONE: 1-800-579-1639 3) BY E-MAIL*: sendmaterial@proxyvote.com * If requesting materials by e-mail, please send a blank e-mail with the information that is printed in the box marked by the arrow XXXX XXXX XXXX XXXX (located on the following page) in the subject line. 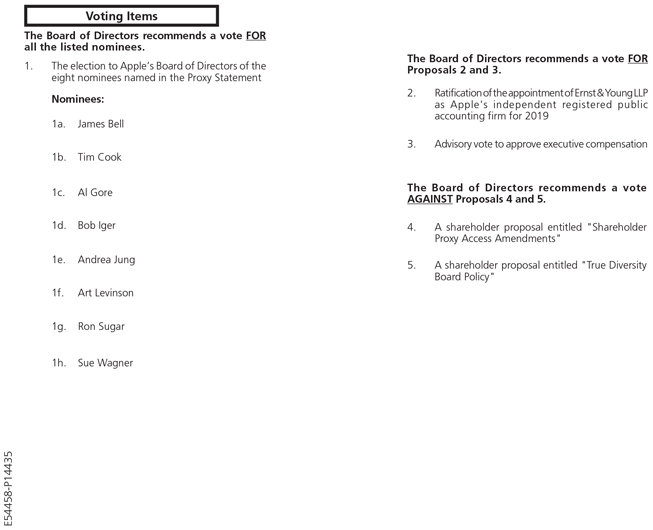 Requests, instructions and other inquiries sent to this e-mail address will NOT be forwarded to your investment advisor. Please make the request as instructed above on or before February 15, 2019 to facilitate timely delivery.